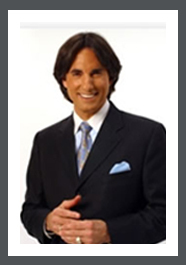 John Demartini is the founder of The Demartini Institute, previously known as The Concourse of Wisdom School of Philosophy and Healing, which has offices in the United States and Southern Africa. Demartini is a doctor of chiropractic. He no longer professionally practices chiropractic. He spends most of his time writing books and traveling around the world holding seminars. His core seminar is a two day course called The Breakthrough Experience. He has also authored a book by the same name which covers much of the same material. In 2009 Demartini and The Demartini Institute presented a talk to the South African Police Force titled “Finding The Hero Within” and to date he has had the opportunity to present this program to over 2000 senior police service officers in Cape Town and Johannesburg. Recently he was invited to work with over 1000 maximum security prisoners at the Klerksdorp correctional services.